Pixie Vacations ® wants you and your family to enjoy the Walt Disney World ® Resort for 4 days and 3 nights of magical memories. Experience and enjoy the Disney Magic when you stay at a Walt Disney World ® Resort hotel and make new memories at the Disney Theme Parks. 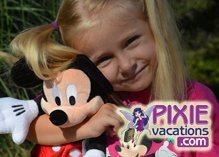 Why book with Pixie Vacations ® instead of directly with Disney? 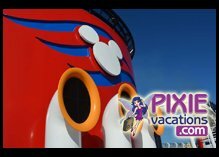 Why should I book with Pixie Vacations, an Authorized Disney Vacation Planner, instead of booking directly with Disney? There are three main advantages to using Pixie Vacations ®. Love the look of this. A working knowledge of Disney World makes a huge difference for the vacation!